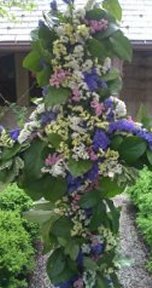 For us, Easter actually begins on Holy Saturday, the evening before Easter, when we gather in the garden to light the Paschal (Easter) candle. Then we proceed by candlelight procession into the darkened church for the Great Vigil of Easter. This evening service memorably traces the story of God’s redemption from creation to Christ’s resurrection. Halfway through service, lights come on, bells ring, and Easter officially begins with great joy. This is the traditional time of year for baptisms, so sometimes we have that joy as well. 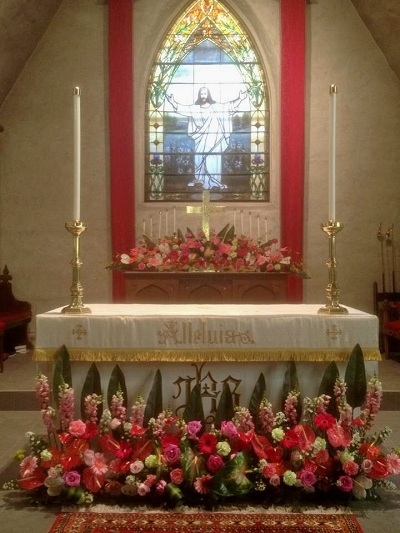 Services on Easter Sunday echo the joyful spirit of the Vigil—with the church full of flowers, bells ringing, and the Easter window, which has been covered for months, revealed once more. Between the two services. services on Easter Sunday, the whole congregation gathers for a scrumptious champagne breakfast—St. Stephen’s famous egg casserole with all the trimmings. One year our kids donned bunny ears to pass out lamb-o-grams (loving Easter messages). You just never know what will happen. 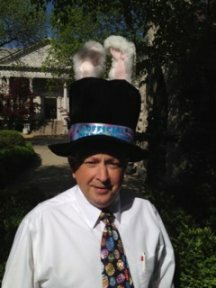 Every year, a few weeks before Easter, Master Bunny Bill Allen begins his unforgettable announcements of the Grand Easter Egg Hunt, held in the garden after the service for all the kids present. Don’t miss the hunt or the announcements! 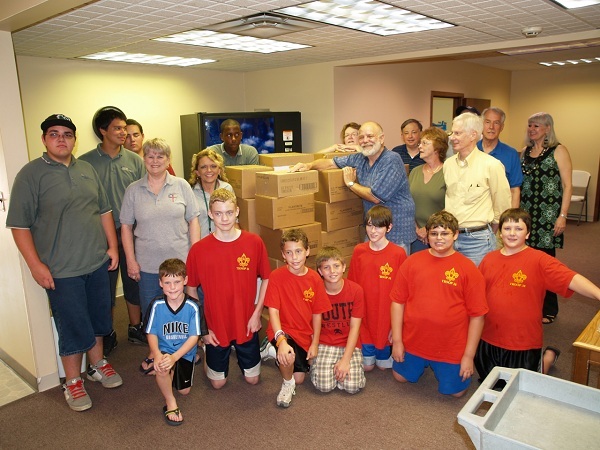 This all-parish undertaking supports the summer food pantry at the Salvation army. Everyone cleans out garages and attics and works together to tag a great hall full of furniture, clothing, and household items. 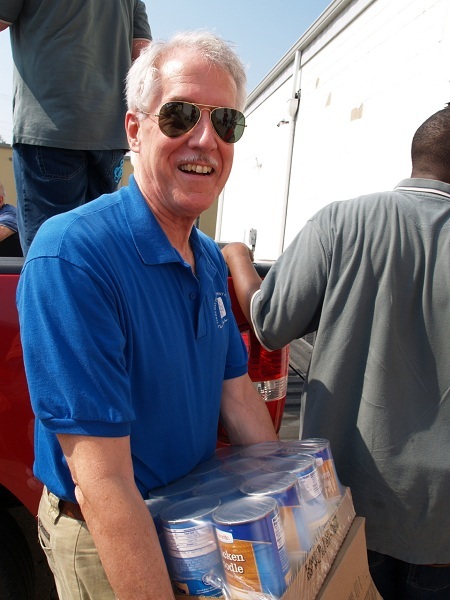 With the help of Baesler’s Market (and sometimes a group of Boy Scouts), we are able to stock the pantry with cereal, soup, and peanut butter to help feed kids who normal ly rely on subsidized school breakfasts and lunches.